You’re probably aware how rapidly social media changes. Usually it’s for the better, whether users are gaining more features or the interface becomes more user friendly. However, sometimes we open the app and it can be overwhelming that nothing is in its usual place and we’re unsure what all the new pages and buttons are for. On the other hand, they may have incorporated some awesome features that we never even knew existed, which can be a missed opportunity for your financial planning business for sure! 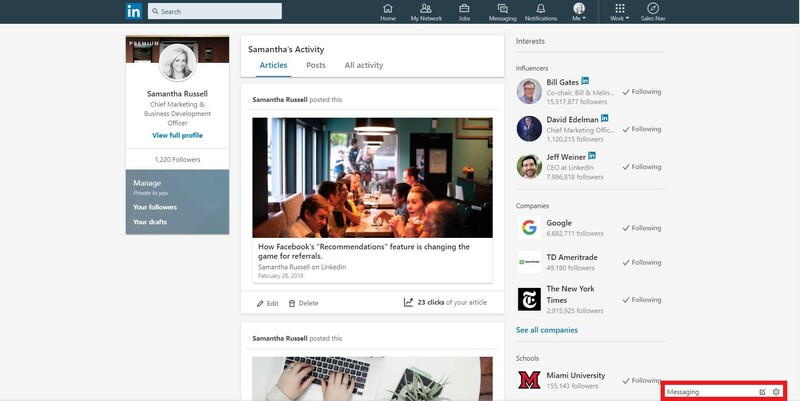 Today we’re diving into some of the changes that LinkedIn recently made. We’ll make sure you’re aware of updates relevant to your advisor business and know exactly how to best utilize them without the confusion. You just got an upgrade and things may look a bit different. 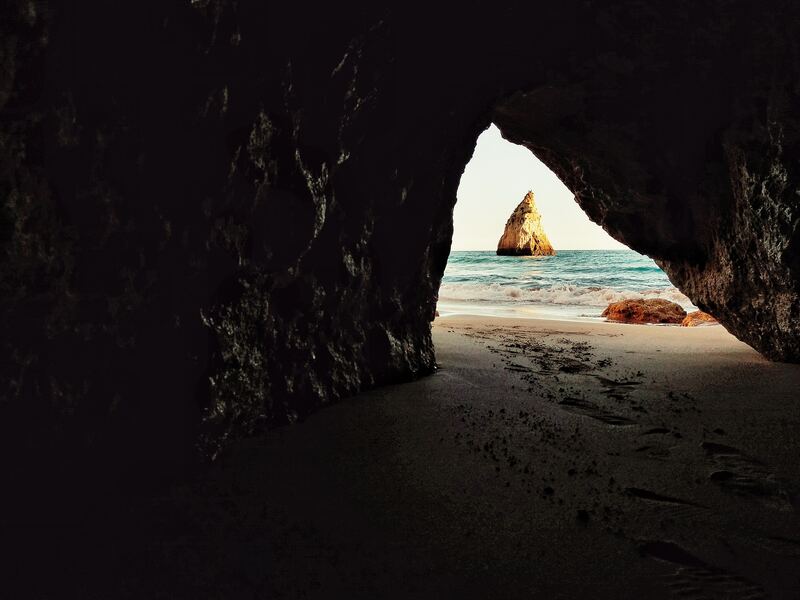 On both desktop and mobile platforms, LinkedIn added a “Work” button to the right of your profile picture on the new navigation bar. Where running your business’ LinkedIn page used to be tricky with less function, you now have new opportunities awaiting you in a seamless control center! Under this “Work” button, you can more easily acquire customers through advertising, unlock sales opportunities, find, attract, and recruit talent, or even create a company page if you haven’t done so yet. This is an opportunity to better connect yourself with prospects and professionals. LinkedIn originated as a professional networking platform and quickly acquired more social features you would usually see on Facebook or Twitter. By now, you’re used to the idea of users and companies curating and sharing content on LinkedIn. It has been a great source for relevant and professional news. With the latest updates LinkedIn has taken it one step further. Similar to your Facebook feed, you are now able to see posts that are trending in your industry. When you switch over from “Recent” to “Top” content, your feed becomes tailored to you based on LinkedIn’s editors and algorithm of what stories are currently important, which posts fit those stories, and how they align to your industry and personal profile information. Turning on this feature is easy. Simply use the drop down box in the top of your feed to toggle to “Top” content. This is a great way to be part of the conversations your clients, prospects and colleagues care about. You can find trending news faster and even use posts as ideas for your next blog post. Not only can you adjust your feed to fit your needs, but you can also get a quick snapshot of trending topics in the upper right of your homepage. We think LinkedIn took a page from Twitter’s playbook on this one. Nevertheless, it’s a great new feature and utilizes your screen to show you universal topics that are trending at the moment. Does anyone remember LinkedIn Pulse, formerly known as LinkedIn Today? It was in a separate application for online news and and sharing. Thankfully, LinkedIn has integrated this extension into LinkedIn’s feed so you can find everything you need in one place. 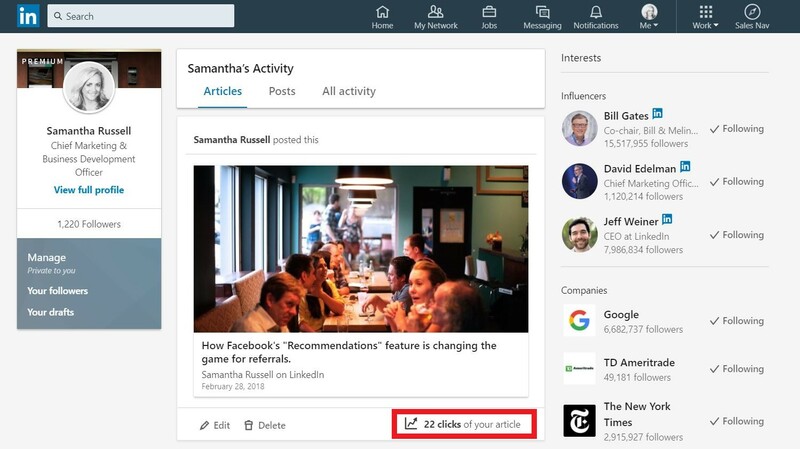 With this seamless experience, you can read and share other’s articles, as well as create your own articles and original content within the LinkedIn app or website. Now, you are only one click away from an extremely simple and user friendly platform. Using this feature to develop articles has many benefits to your financial planning business. A LinkedIn article may perform better than sharing your blog posts. Therefore linking back to your website can create a boost in traffic and benefit your business with added SEO benefits. With your articles housed on your profile, prospects have an additional way to reach your content and your financial services company. Using Google Analytics, we’ve been able to better understand traffic, clicks, readership, audience, and so much more when it comes to our blog posts and websites. We know this is a good idea, so why would we still recommend you create LinkedIn articles too? You won’t being losing any analysis with their new article functions, you’ll actually be gaining access to some stellar data you may have never seen before. To find out more on who’s reading your articles, reach your profile’s “Posts & Activity” section, check out your articles, and navigate to the bottom right of an article to find “clicks.” Here, data is waiting for you so you can to better serve your clients and prospects. Thanks to the importance of connecting on LinkedIn’s platform, their articles analytics are hardwired to do just that. You don’t just see who liked your article, but you can also see the companies, job titles, and locations of those whose clicked to read your article. The results may even alter your marketing strategy with a more tailored approach to individuals who fit that criteria. It used to be time consuming to send a simple message to someone on LinkedIn but now you don’t have to navigate to a private message. With LinkedIn’s launch of their new chat feature, you can now send a direct chat without even leaving your homepage. Your message will still be private, just more accessible! 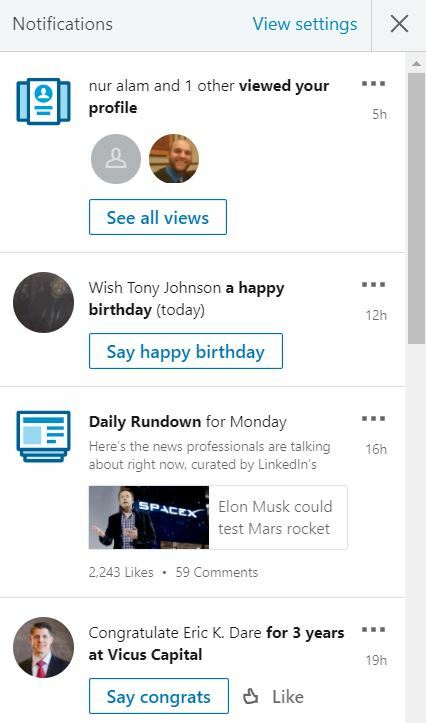 LinkedIn has also used artificial intelligence technology to make connecting even easier. LinkedIn will now produce responses for you based on the information in the last message to make responding even quicker. You will also find this in your notifications section so you can quickly say “Happy Birthday” or “Congrats!” to a connection. 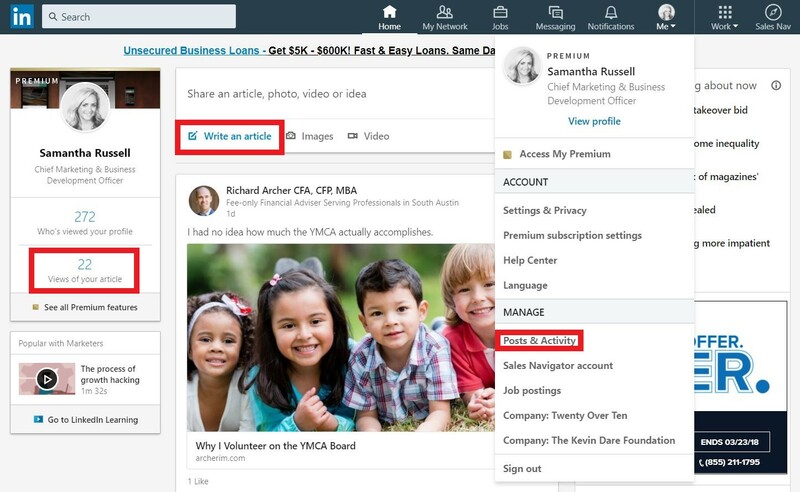 These are just some of the ways LinkedIn is making it easier and faster to connect with others. 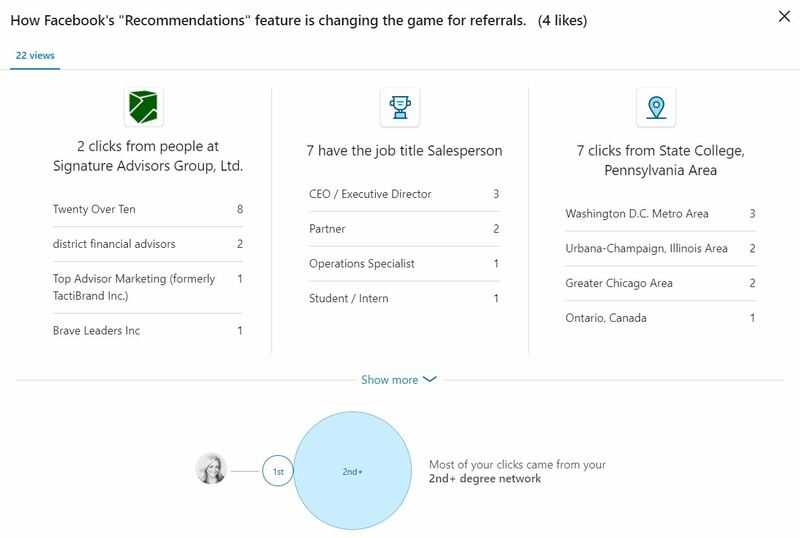 There’s no doubt that LinkedIn in a powerful tool for advisors to leverage to connect with prospects. 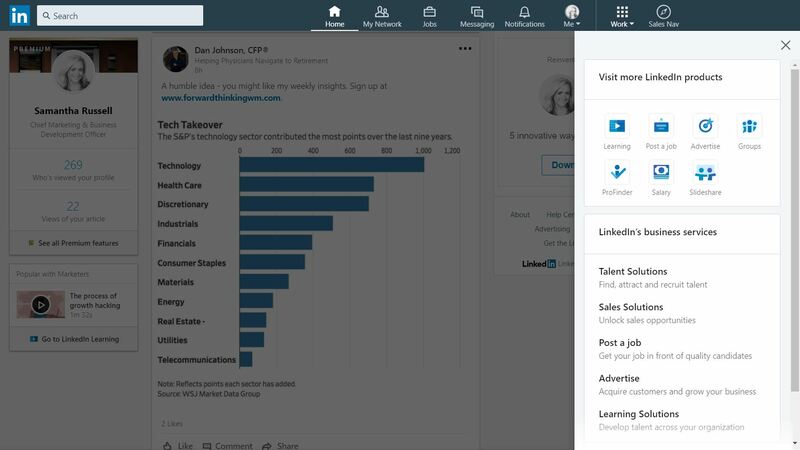 Make sure you are utilizing this easy communication feature to connect with colleagues and prospects alike. Need Help Developing a Social Media Strategy for Your Firm? We can help! Wether you’re just getting started and need profiles setup or are looking for a full-blown strategy our team is ready to assist you.